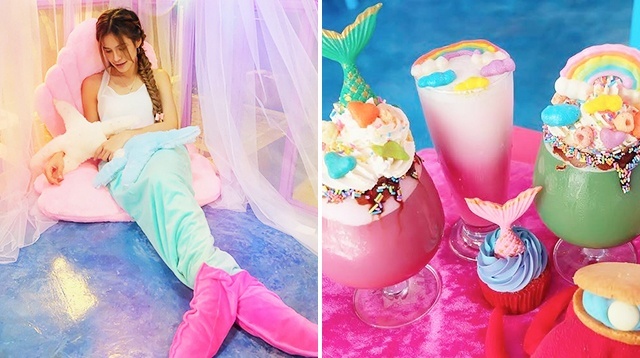 Forget Unicorns, There's A Mermaid Cafe In Thailand! I want to be where [those] people are. Ready to move on from the unicorn trend? Great, 'cause we're all about ~*mermaids*~ now! So when we found out about Thailand's Mermaid Island Cafe, we wanted to book plane tickets ASAP. If you're flying to Mario Maurer's home country anytime soon, check out this cafe in Pathum Thani. They have mermaid tail blankets you can chill in. Even their millennial pink restroom is ~magical~! With these treats, ~*life is the bubbles*~! Such wonderful things surround you; what more [are] you lookin' for?